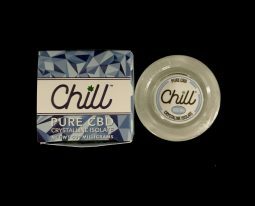 Chill Pure CBD Crystalline Isolate is a concentrate you can use in numerous ways. Whether you prefer to add the CBD crystalline isolate to your pipe, bong, joint, or vaporizer, this product offers one of the best ways to medicate with cannabis, containing zero psychoactive effects. When used consistently like a daily supplement, the efficacy of Chill’s PURE CBD Isolate can be maximized. It will slowly but surely improve your endocannabinoid system, which will optimize your health throughout the body for a wide range of health benefits. 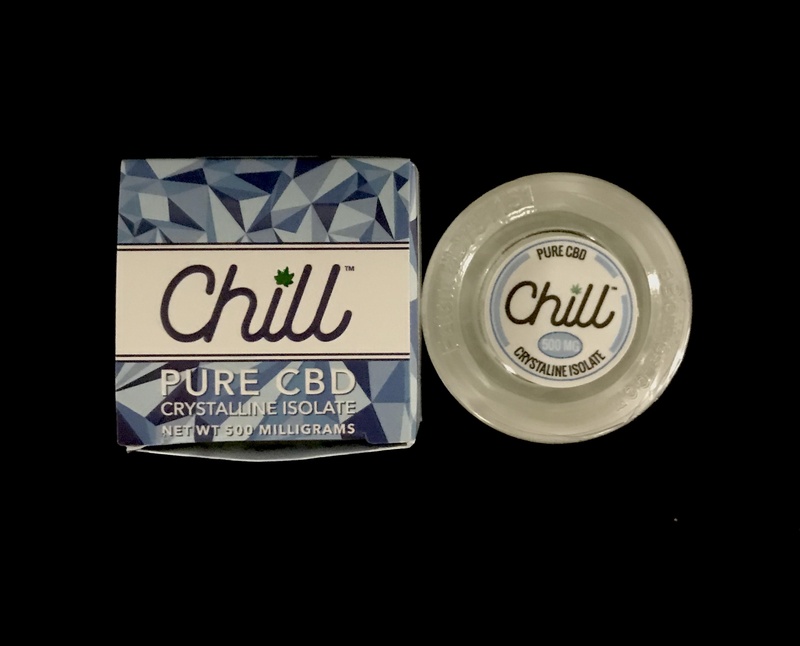 What is the Chill Pure CBD Crystalline Isolate made from ? Sourced from 100 percent organically grown cannabis and produced to the highest standards, this Isolate has the potency to improve your life and bring wellness to your mind, body and soul. The product is triple tested, and certified to contain no pesticides, solvents, or heavy metals. Each 500 mg container is packed with 97 percent of CBD (crystalline) purity. This Pure CBD Crystalline Isolate is the answer for many patients seeking relief from various health conditions ranging from anti-inflammatory, anti-pain, anti-anxiety and anti-psychotic effects of THC without causing undesired effects like sluggishness or dysphoria. effective for body and soul relaxation!!!! Relief pain and makes me happy!